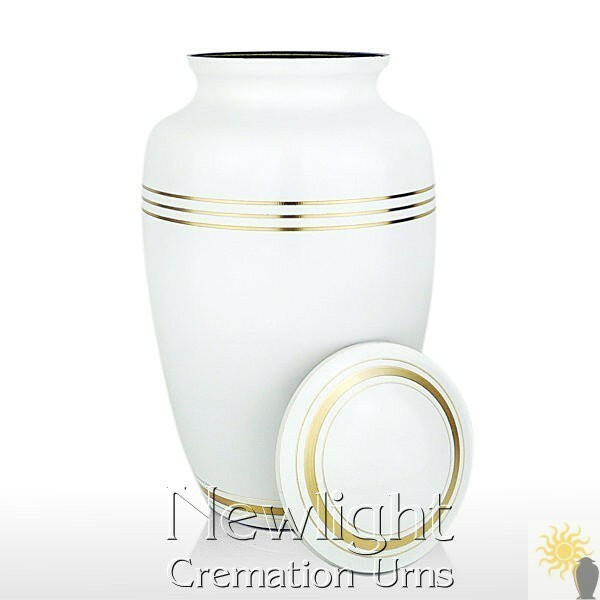 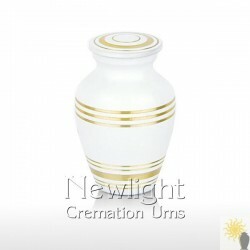 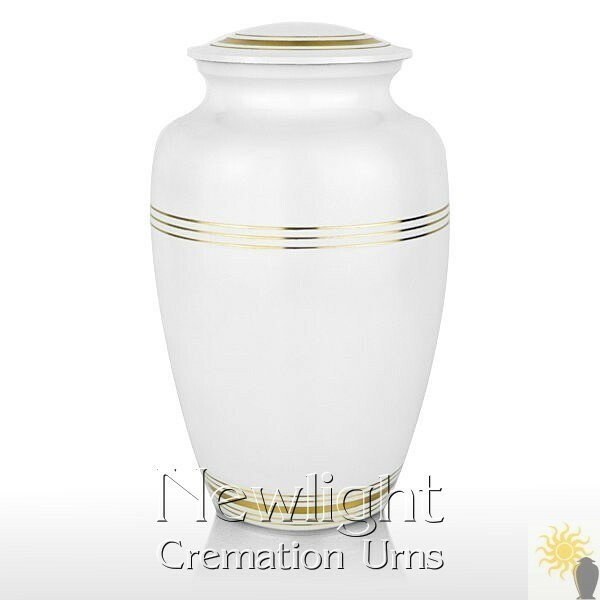 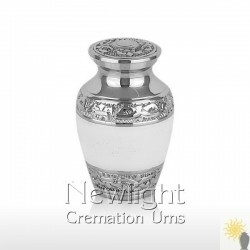 The Classic White Urn is a very high quality solid cast brass cremation urn. 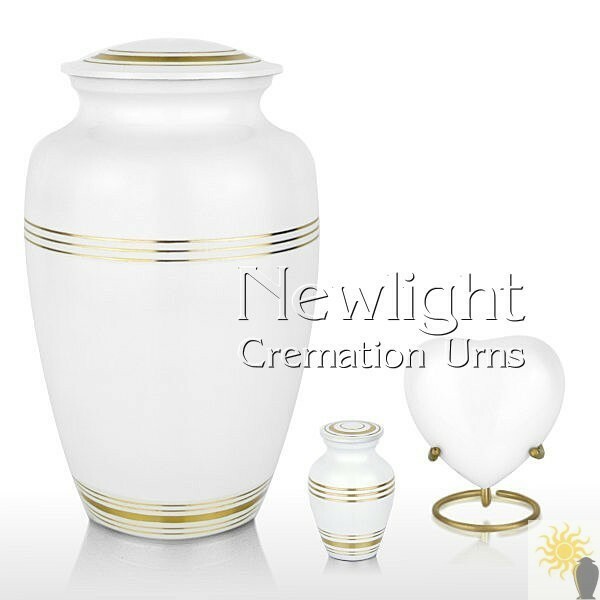 This funeral urn has a beautiful white enamel body and lid with simple brass bands. This urn is designed to be suitable for the ashes of an adult.